Undoubtedly the most beautiful homage to Roland Dyens, a great artist who was also my friend. 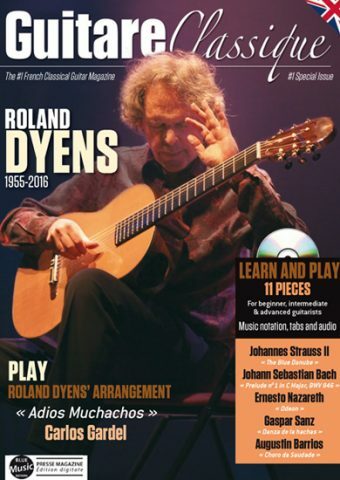 After the death of Roland Dyens, you’ve been a lot of classical guitar lovers, all over the world, to ask us for the special issue that Guitare Classique dedicated to this great French guitarist. For you, we made an English version of this tribute. 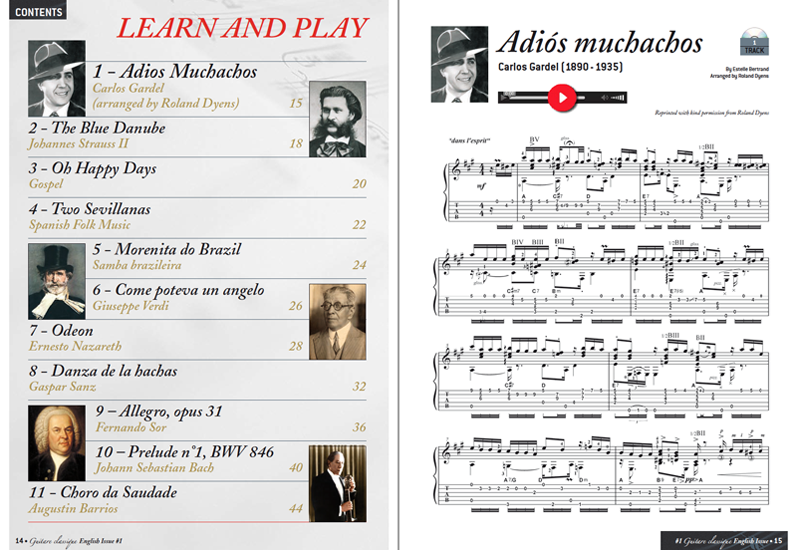 You will also find in this issue dozen scores and pedagogical lessons. We hope you will enjoy your reading. Whether you are a beginner or a confirmed guitarist, Guitare Classique will guide you in the practice of your favorite instrument. 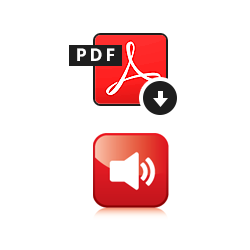 In this special issue, play on Roland Dyens scores with audio files by Valérie Duchâteau, Gabriel Bianco, Gaëlle Solal et Estelle Bertrand.